It's a piece of cake to send flowers to Midrand family and friends wit the help of Bloomable (formerly SA Florist). Bloomable (formerly SA Florist) is an Internet florist offering fresh, handsome flowers for every occasion. We also offer birthday baskets and lively mixed bouquets featuring carnations, roses and Inca lilies in carefully crafted arrangements. These cheerful bunches are also perfect for wishing congratulations or good luck, welcoming a sweet new baby or sending something extra special to make a loved one’s day. Choose traditional red or assorted multicolour roses for a romantic gift, or send sunny gerberas to celebrate friendship. For somber occasions, chrysanthemums and St. Joseph's lilies are classic choice to express sympathy. They also work well in baskets with a get well soon card or to say you’re sorry when a heartfelt apology is required. Of course, any beloved bloom can be sent to a friend "just because." Our Midrand florist can provide the right bouquet for any occasion, large or small. 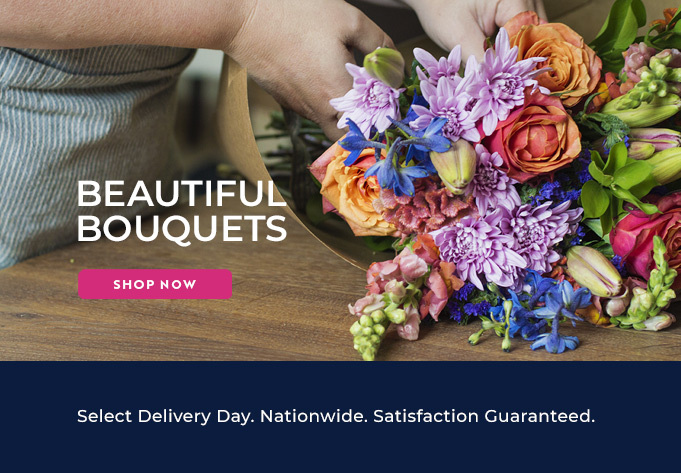 In addition to offering Midrand flower delivery services and pretty arrangements for all events, Bloomable (formerly SA Florist) also has many other gift items for delivery to make a loved one's day. We have a diverse gift hampers that include a host of delicious snacks (a selection of nuts, fresh fruit or salty treats), delicious chocolates and even a bottle of bubbly to make a celebration truly special. We can add balloons, soft toys and gift cards to make a gift personal for the lucky recipient. At Bloomable (formerly SA Florist), we pride ourselves on working with our own flower shops and professional florists instead of third-party outfits who skimp on quality to eke out additional profits. We use the newest technology to make it simple to order Midrand flowers on Internet from any location. We take pride in offering the best flowers and outstanding floral craftsmanship at a great price. Check out the Bloomable (formerly SA Florist) website today!